The kanban method, also known in Japanese as ‘kamban’ and translates into the equivalent of ‘signboard’ in Chinese, is a concept that stresses visualization of a person or team that is available to take on new work. This concept is closely related to just-in-time (JIT) and Lean production, both of which utilize it as a scheduling system which tells a manufacturer what needs to be produced, when it should be produced and exactly how much of it needs to be produced. Ideally, the kanban system controls the overall value chain starting from the raw materials supplier to the final consumer of the goods or services. Ensuring that there is control helps to avoid disruption of supply as well as overstocking of inventory at any stage of the manufacturing process. 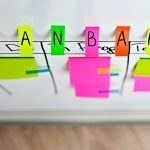 In particular, kanban gives particular attention to any bottlenecks in the process that could result in a slowdown of production or inefficiency in operation. 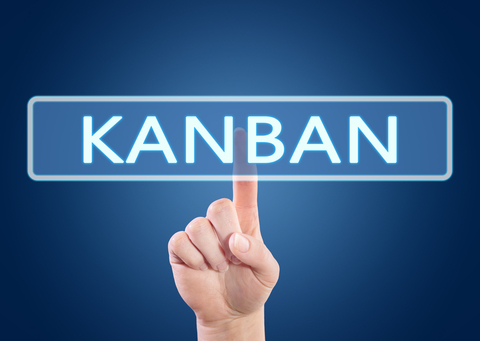 The ultimate aim is to obtain a higher level of throughput and lower delivery times without sacrificing quality by following the following principles that guide the kanban system. 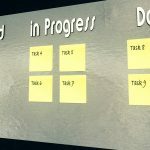 A kanban system typically examines state changes within the work process. These are a general reflection of any change in an activity that generates information on the states of the work. For instance, the activity of analysis generates specific information. 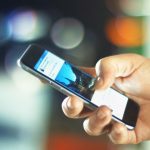 When it reaches a point of diminishing returns, the work is now defined as ‘analyzed,’ and is then changed into a new activity that will generate additional information such as design or testing. This process of punctuating the arrival of information is what kanban practitioners use to visualize workflow. By limiting work in progress we put in place a pull system within part of, or the entire workflow. This system can be implemented using a variety of methods including DBR, CONWIP or kanban, among others. Regardless of this, the essential thing to remember is that the WIP within each state of the flow needs to be limited while any new work available is ‘pulled’ into the next state as soon as the WIP provides sufficient capacity. Until the exact mechanisms or processes of an organizations operation are explicitly laid out, it is almost impossible to talk about improvements. If there is no clear understanding of how things work or how the work is actually done, discussion of problems with the process will be anecdotal, subjective and emotional. By offering an explicit understanding, kanban makes it possible to have a discussion of the issues that is objective, rational and based on empirical evidence. Ultimately limiting of the work in progress is what stimulates any discussion of process problems. Anything that impedes the flow of work, or introduces perturbations which cause the flow to be inconsistent will make limiting WIP a major challenge. The team then has two options: break the WIP limit, ignore the issue and proceed, or to face the problem together, have an informed discussion and suggest improvements by consensus. The key principles behind the kanban methodology have been designed to be the foundation on which an organization can see incremental improvement. The design of a kanban system needs to be adaptable over time to meet the complex needs of organizations.